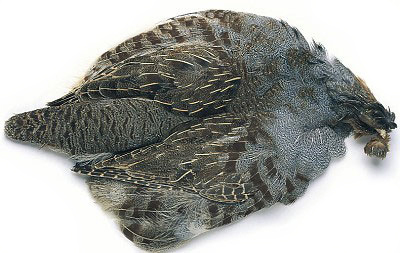 A full Partridge skin. A perfect resource for all your partridge feathers and a more economical way of buying a large number of hackles at a competitive price. These full skins are a favourite of the fly tier and includes wings & tail & every feather has a use.